disneyland – Yeah.. like the mermaid. Hope your day is filled with 999 happy haunts! I completely went MIA on my blog ..but I had a good reason! 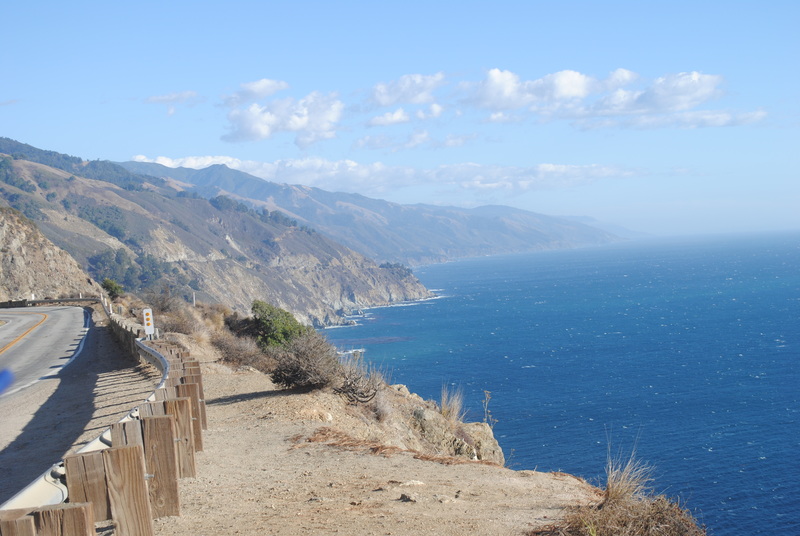 My husband and I celebrated our first wedding anniversary and my birthday by taking a trip we’ve always dreamed of doing — we toured (mostly) all of California! Neither of us had been before but had always wanted to go (he was dying to drive down the coast, I was dying to see Disneyland!) and we finally decided celebrating our anniversary and my 26th birthday was the perfect reason to go! We started in San Francisco (which, by the way, is such an awesome city!) and saw Union Square, Chinatown, and the trolley cars, we toured Alcatraz (amazing! 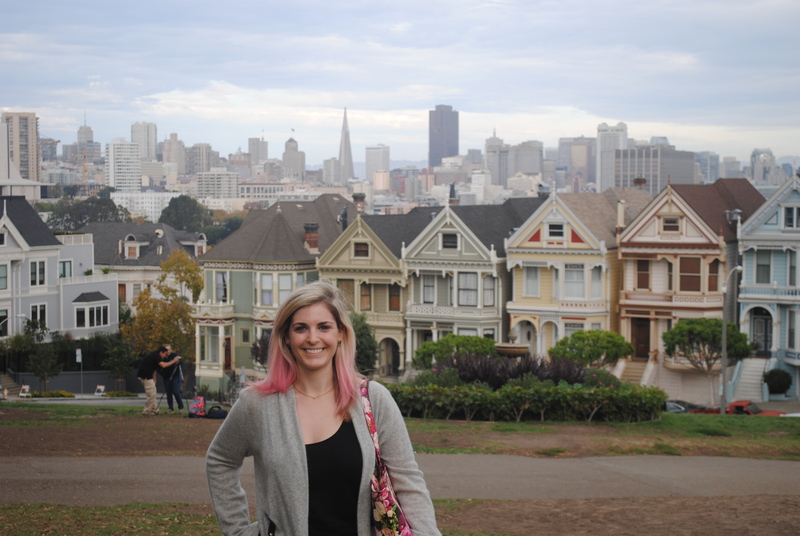 ), went to the botanical gardens, had dinner at Fisherman’s Wharf, and saw the Painted Ladies — we’re big Full House nerds, so this was a dream of ours (LOL!). We also drove over the Golden Gate bridge and visited the Walt Disney Family Museum in Presidio because we both have a huge soft spot for Walt. This was all in like, 2 days! Then we picked up our car and headed to wine country, where we spent the weekend amongst the vineyards in Sonoma and Napa Valley. 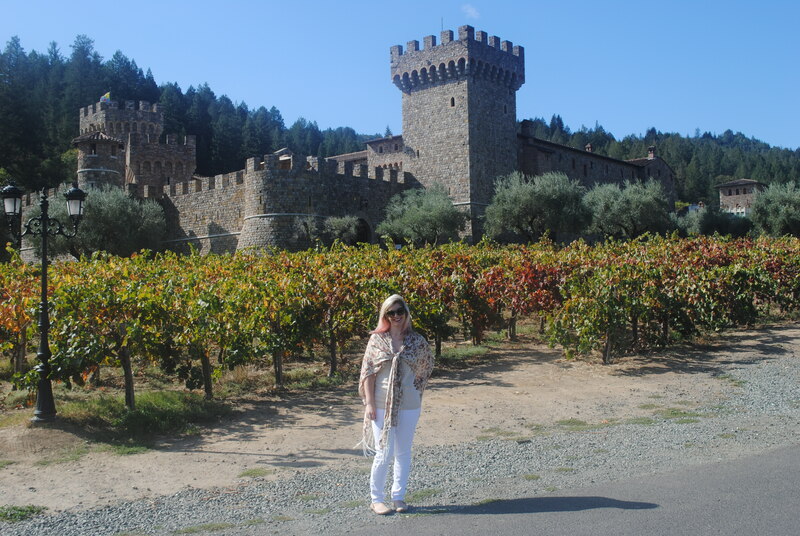 We visited a few, including the Francis Ford Coppola Winery and Castello di Amorosa. Wine country was so idyllic and gorgeous — every drive had unbelievable scenery to offer. Our favorite winery, by far, was Castello di Amorosa. It was breathtakingly beautiful and an actual castle! My favorite part of wine country wasn’t even the wine! 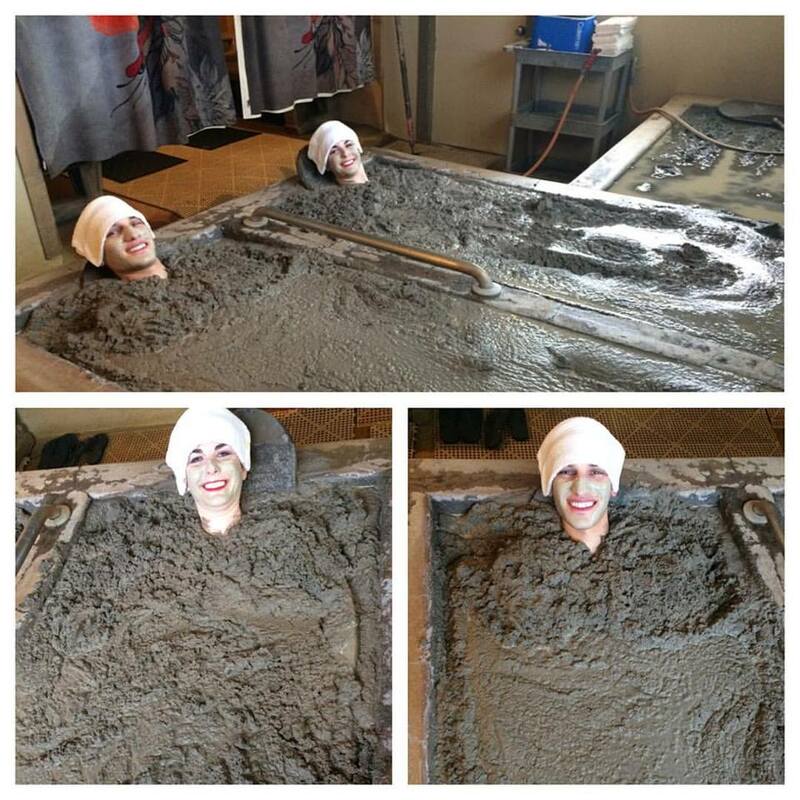 We did a mud bath at Golden Haven Hot Springs Spa & Resort. My husband was VERY nervous as he’s never done any kind of spa treatment, but he LOVED it. We both found the mud bath so bizarre and hilarious, but it was overall such a fun and unique experience. Things got a little muddy! Then we began our (LONG) journey down the coast, which took a full two days. We stopped at several beaches to feel the Pacific ocean (including Santa Cruz, Santa Barbara, Monterrey Bay, and Moonstone Beach) and enjoyed the views. I was terrified at times due to the fact that there’s really not much stopping you from plummeting to your death with one sharp turn, but it was SUCH an experience. Our journey then took us to Disneyland, where we spent three days. 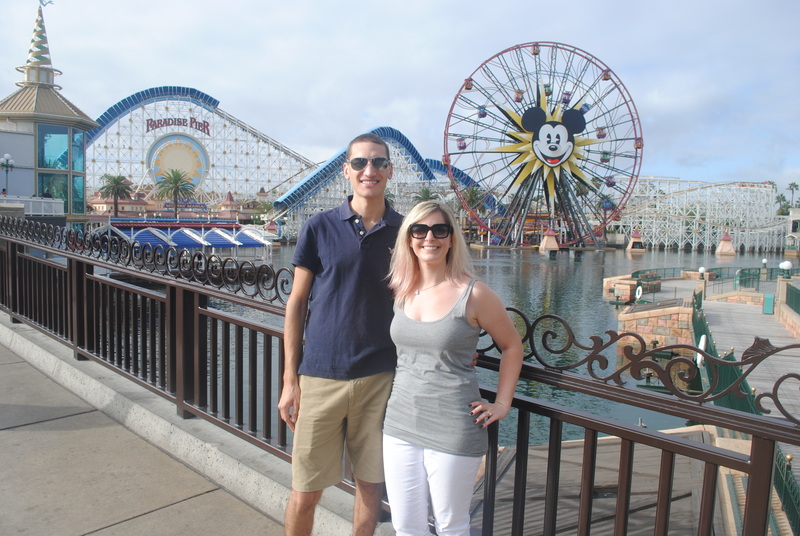 The weather in Anaheim was much hotter than either of us expected, and crowd levels were high, but we took our time and went on old favorites (Space Mountain, Pirates of the Caribbean) and new obsessions (Radiator Springs Racers, Mickey’s Fun Wheel.. lol) and we had a great time. It’s hard to compare DLR to WDW as even though they’re both theme parks, they’re both actually so different. We decided, ultimately, that we preferred WDW but we’re so happy we saw the original. 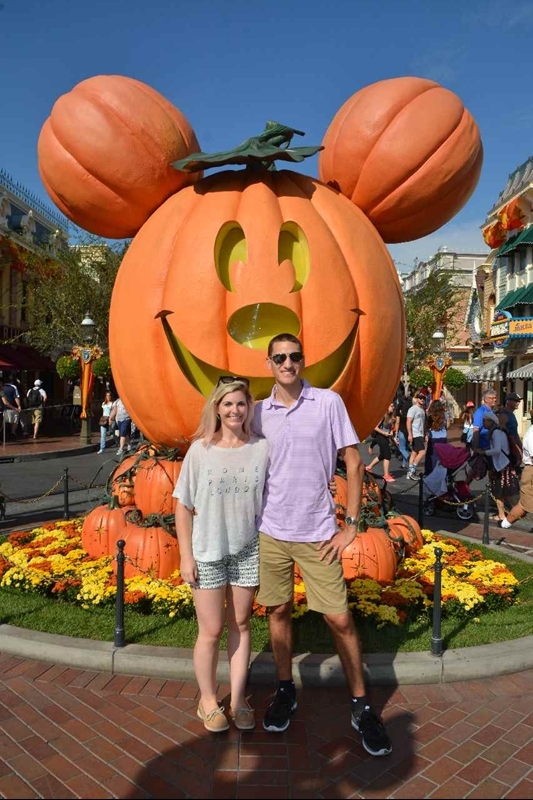 We loved being there at Halloween (Haunted Mansion Holiday was absolutely mind-blowing!) and also enjoyed being able to go on one last ride of Soarin’ Over California (especially after finally SEEING California!) before it’s changed in 2016. I still think Disney should keep the California version in California, but unfortunately I don’t get to make those decisions! Then we headed towards L.A., with a stop in Laguna Beach to hang with Lauren and Kristin (juuuust kidding!). We stayed at the intersection of Beverly Hills and West Hollywood and explored those neighborhoods, of course stopping to see Rodeo Drive, and we also visited the Hollywood sign, the Walk of Fame, and The Grove. We visited Calabasas (home of the Kardashians!) but didn’t get to see any of the K girls. Bummer! We ended our trip with a visit to Universal Studios Hollywood, which has AWESOME views of Hollywood and an unbelievable studio tour. The park is themed super well, but doesn’t have many rides, so we only spent about six hours there. And of course, being in the home of all the biggest celebrities, we did get to see a few famous faces. Ha just kidding. 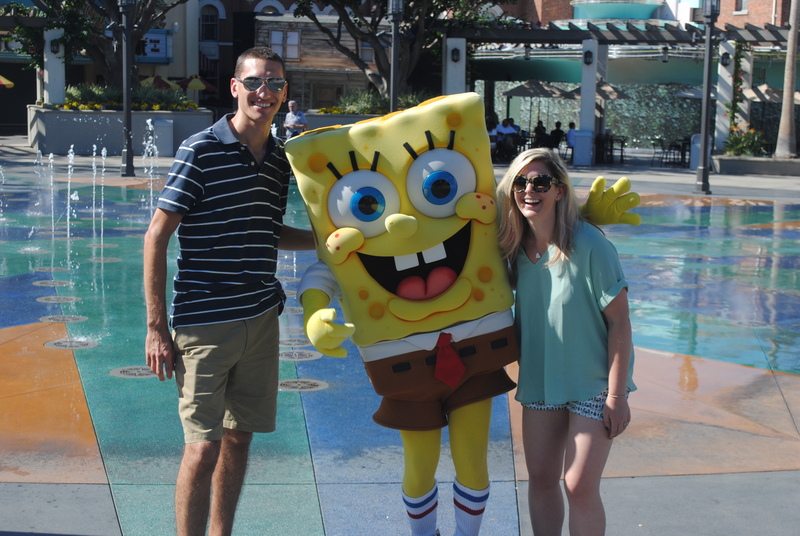 But Spongebob and I are officially in love! It was a jam-packed trip and I think I’m still jet lagged, but SO much fun. A true experience of a lifetime, all with my favorite person ever!